Apparently there was a Begins sign just north of here, but I missed it. 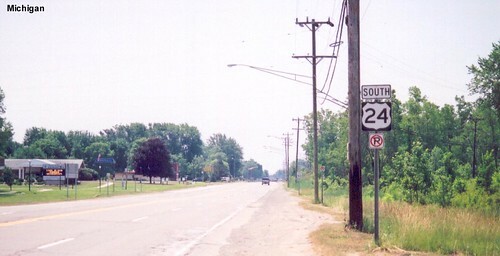 Although US 24 heads west overall, in Michigan it is signed as South. 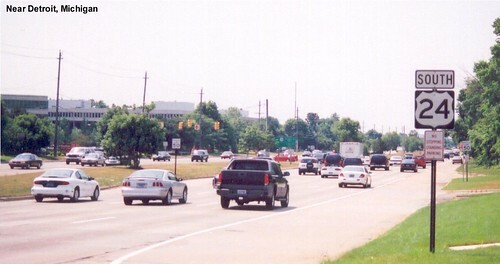 Finding places where I could legally stop and photograph the route in Michigan was challenging.